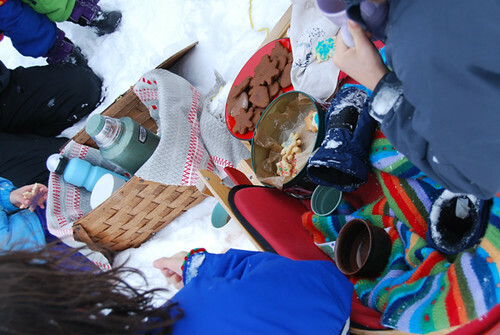 sledding snacks | Flickr - Photo Sharing! vivianneroni, life is like gum, and 5 other people added this photo to their favorites. Fun! I bet the kids were rather happy!